Below is a compilation of Bi’s 2006 adverstisements. Click on images for bigger view. Enjoy! "You are free to move about the country." I took my comprehensive final today and as always, made stupid mistakes. Oh well. 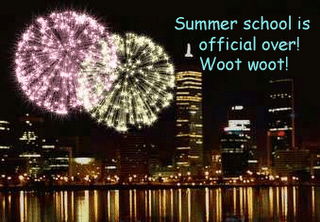 The important thing is that… summer school is over! Yippee!